30/12/2016 Ipsos, a leading multi-national company specialized in market research and the Royal Health Awareness Society are pleased to announce the signing of an agreement whereby the Ipsos Foundation will support (2) public schools for the academic year 2016/2017 as part of the Society’s Healthy Schools National Accreditation program. 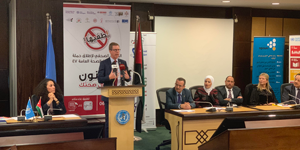 This support is vital to the expansion and sustenance of the Healthy Schools National Accreditation program, which was launched in 2008 in collaboration with the Ministries of Health and Education. Through this step, the students will be able to lead healthier lifestyles by encouraging them to maintain healthy daily habits, and thus improving their wellbeing and educational attainment. The Healthy Schools National Accreditation program was founded since 2008, and is executed in collaboration with the Ministries of Health and Education to ensure a healthier environment for students across the Kingdom. The program also aims to support the social, physical, and educational wellbeing of students based on a defined criteria that schools are trained on for successful implementation such include: health awareness, cleanliness, safety, nutrition and canteens, physical education, and health related services within participating schools. Since its inception, the program has reached out to 176,000 thousand students in 375 schools. The program also provided comprehensive training for 1165 principle and teach nationwide. 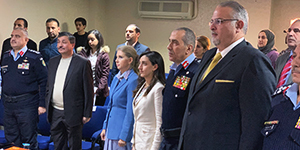 The Royal Health Awareness Society (RHAS), a Queen Rania Initiative, was established in 2005, to promote health awareness and to empower Jordanians to adopt healthy lifestyles and behaviors. To achieve its mission, RHAS adopts a comprehensive approach, through implementing preventative public health and safety programs based on the right to health for all, targeting school children, youth and the community at large. RHAS programs include: Healthy Schools National Accreditation program, Fakker Awalan (Think First) program, the local Healthy Community Clinic program, and Shababna (Youth for Health) at a young age, and the Healthy Kitchen Program. RHAS programs aim to teach instill fundamentals of preventive health care, which will ultimately contribute to a healthier and safer Jordanian society. Operating from their HQ in Paris, France, Ipsos is a leading multi-national company specialized in market research in more than 87 countries in North America, Europe, South America, and the Far East and Australia. Ipsos also operates in 15 markets in the MENA region including their Jordan office, which commenced operations in 1998. Ipsos is the third largest research entity worldwide and has been listed on the Paris Stock Exchange since 1999. The company’s revenues exceeded US $2 billion for 2015. Ipsos group employs 16,450 researchers across the globe. 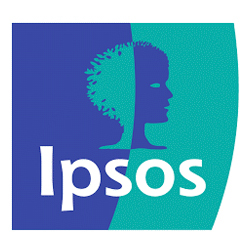 The Ipsos Foundation is fully funded by Ipsos and was created in 2014. The purpose of the Ipsos Foundation is to help educate disadvantaged children and youth around the world.